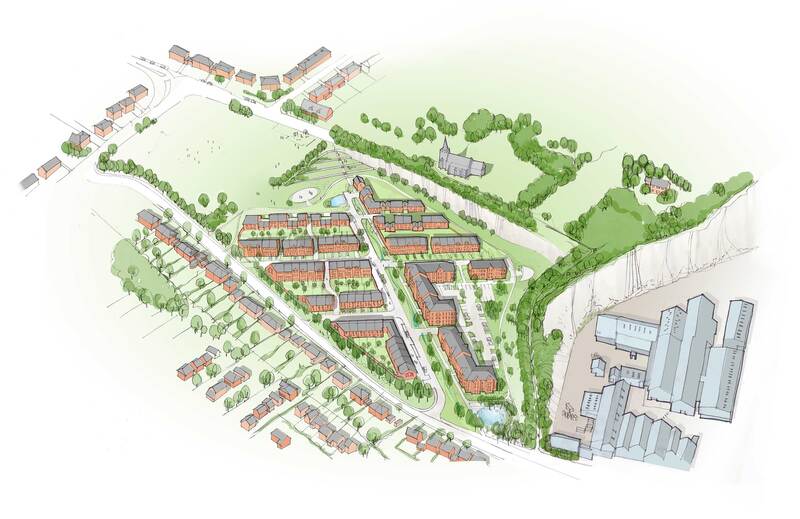 The development is organised around a Central Green Street, which rises from a low point at the entrance to the Site up towards the Northern cliff face. 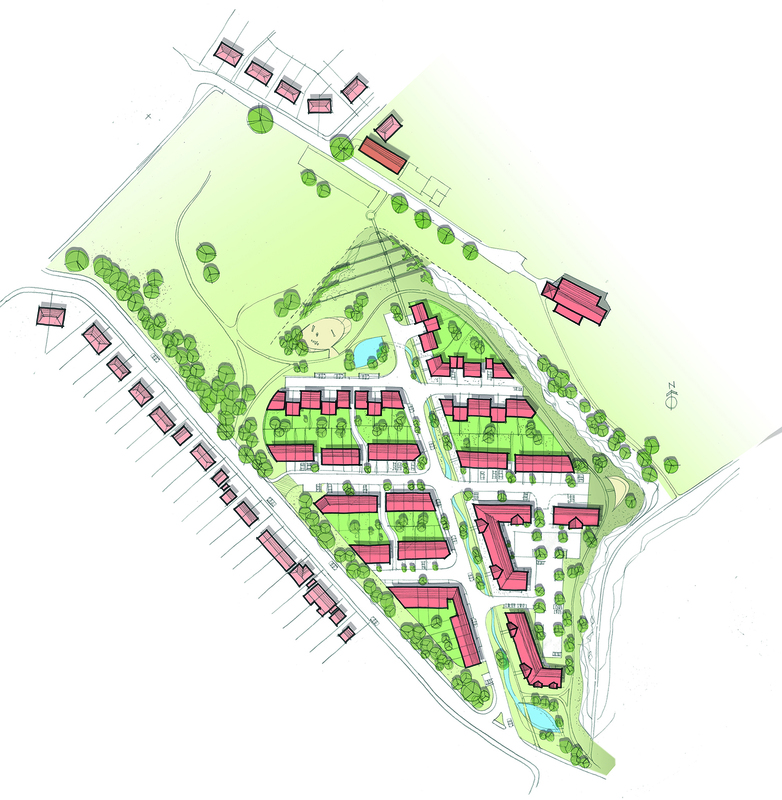 The Outline planning application comprises a residential development of up to 130 dwellings. The proposals will positively contribute to the growth of the local economy, delivering new family homes and apartments with adequate parking, supporting local facilities and businesses, and creating new jobs during the construction period.